Henry Michael Radcliffe Jr. obituary. Carnes Funeral Home. Henry Michael Radcliffe, Jr. was born is Columbus, Georgia on February 19th, 1930. He passed away Wednesday January 13th, 2016 at the age of eighty-five years, in Webster, Texas. He is survived by loving wife, Betty J. Radcliffe; son, Henry M. Radcliffe, III; daughters, Kimberly E. Hooks (CJ), Karen A. Johnson (Warren, Sr.) and Kristie M. Barrett(Lamont); brother, Raymond Radcliffe; sisters, Gloria Hart(Gene), Sonya Cameron, Rita Alston (David), and Yvonne Johnson (David); grandchildren, Aaron Radcliffe, Amani Osman, Stephon Jackson, Warren Johnson Jr, Ashley Johnson, Kayla Johnson, Delano Radcliffe, Christopher Barrett and five great-grandchildren. 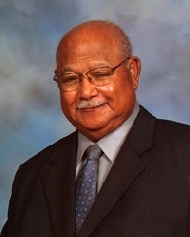 Henry received a Bachelors Degree in Biology from St. Mary’s University in San Antonio, Texas in 1968 and received a certification in Serology from Emory University in Atlanta, Georgia. He also attended De Paul University in Chicago, Illinois on a boxing scholarship before having to transfer to the University of Heidelberg in Germany where his father, Henry Sr. had been stationed. Later he joined the United States Army in Germany and attended his basic training there and starting his military career. Henry served twenty-six years in the U.S. Army, he achieved the rank of Master Sergeant (E8, Msgt) retiring in 1978. During his military career he completed two tours of duty in Germany and one tour in Brazil. He was stationed at Brooke Army Medical Center, Fort Sam Houston, San Antonio, Texas; Fort Benning, Georgia; Presidio Army Medical Center, San Francisco, California, which was his last duty station. He was fluent in German and Portuguese languages. Henry was a member of the Pittsburg, California Chapter of the Knights of Columbus and served as the Faithful Navigator for several years. After retirement from the military and several laboratories in Northern California, he volunteered weekly at the Loaves and Fishes Food Pantry feeding the homeless. He served as Lecturer and Eucharistic Minister at Good Shepard Church in Pittsburg, California. He Relocated to Dickinson, Texas in October 2003, where he enjoyed retirement traveling, and spending time with his family. Guests are invited to share in the Celebration of Life Visitation for Mr. Radcliffe from 5- 6p.m., Sunday, January17th, 2016 with a 6p.m. Reciting of the Rosary at Carnes Funeral Home -Texas City, TX, 3100 Gulf Freeway, Texas 77591. Funeral Mass will be celebrated 10:30am, Monday, January 18th, 2016 at Shrine of the True Cross Catholic Church, 300 FM 517 Dickinson, TX 77539. Rite of Interment will follow at Mt. Olivet Catholic Cemetery.